Turn on the freshwater tap, and a seemingly endless flow of refreshment springs forth – however its sources are increasingly stressed by over-use and pollution – just ask our colleagues participating in the Healthy Soils for Healthy Waters Initiative, or EP Purification whose affordable ozone products are cleaning water in 24 countries. Below are a few highlights from 2015 wherein Greenleaf clients and partners advanced innovative solutions to the sustainable use of land, water, material and energy resources. GreenCity Power demonstrated to New York City how best to design efficient co-generation energy systems when it re-commissioned the city’s largest natural gas sourced system at One Penn Plaza. It also raised $100 Million to deliver highly efficient systems for electricity, heating, and cooling to customers seeking improved profits and energy security which is of special interest to communities at risk of ‘Sandy’ type storms along the coastline. Aaron Walters, Managing Partner of GreenCity Power, will be presenting on cogeneration at the CleanMed Conference in Dallas this May. Intelligent Generation was issued its third patent protecting the Intellectual Property created by IG founder, Jay Marhoefer, who operates IG’s network of energy storage assets like a virtual power plant to participate in wholesale power markets, making solar profitable across the thirteen state PJM marketplace (Midwest to Mid-Atlantic). EP Purification advanced the development and market application of its micro-plasma technology to produce ozone for water treatment, making this health-friendly treatment process cost competitive. With its small-scale product now in 24 countries, they are expanding production capabilities for larger applications into multiple markets. Argonne National Laboratory completed the first phase of its Illinois research project on growing biofuel crops in degraded agricultural lands that reduce water pollution as well as greenhouse gases. The biofuel crops can generate energy for the local farm or be used in the marketplace. At the field scale, results show significant reductions of nitrate concentrations underneath a willow contour buffer compared to the adjacent corn. 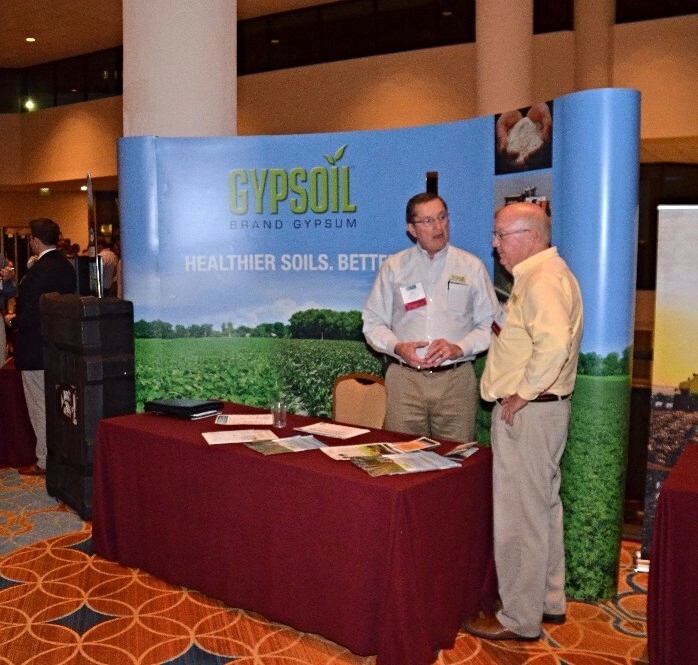 A New National Conservation Practice Standard was established by the USDA for the use of gypsum as an agricultural soil amendment to improve soil health and enhance nutrient retention. 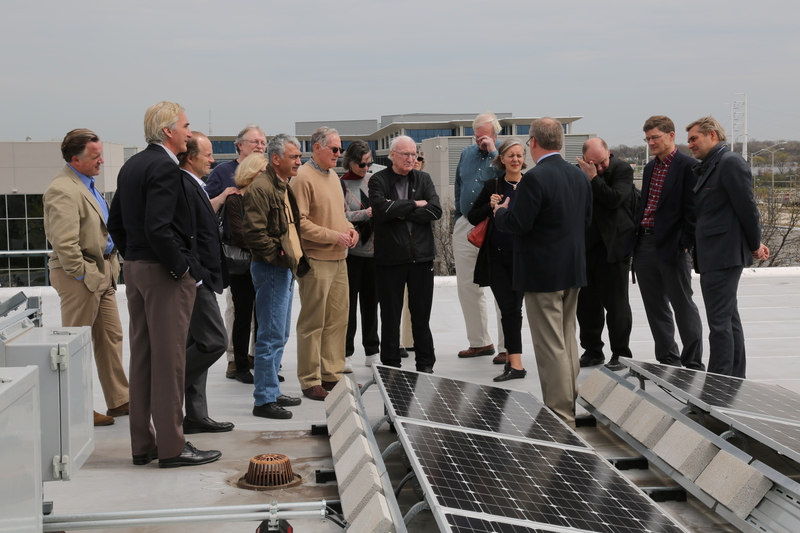 This took years of engagement by many including contributions from Greenleaf clients and partners – The Ohio State University, Electric Power Research Institute, Gypsoil, and Greenleaf board member, Dr. Darrell Norton. The Healthy Soils for Healthy Waters Symposium gathered leaders from the USDA, EPA, universities and industry throughout the Great Lakes and Mississippi systems in Memphis, TN to advance integrated whole systems approaches to agricultural land management. Greenleaf collaborated with the Soil & Water Conservation Society, the University of Arkansas, and the Ohio State University to deliver a successful conference including a keynote by National Geographic’s Dennis Dimick as we celebrated World Soil Day. Nature Conservancy of Canada contracted to purchase several thousand acres of coastal lands and islands that will put into permanent protection primary habitat for rare arctic-disjunct plants, migratory birds and charismatic animals like bald eagles and bear. 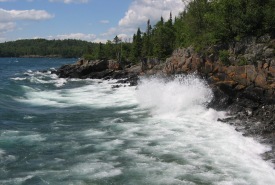 Scheduled to close this summer, a challenge grant has been secured to support fundraising efforts underway to complete the protection of this integral link within the largest freshwater archipelago and coastal natural zone on the planet. Thanks for all you do to inform and participate in the growing and increasingly intertwined network of enterprises and people committed to a truly healthy and sustainable world. Please visit the Greenleaf Advisors and Greenleaf Communities websites for additional information.